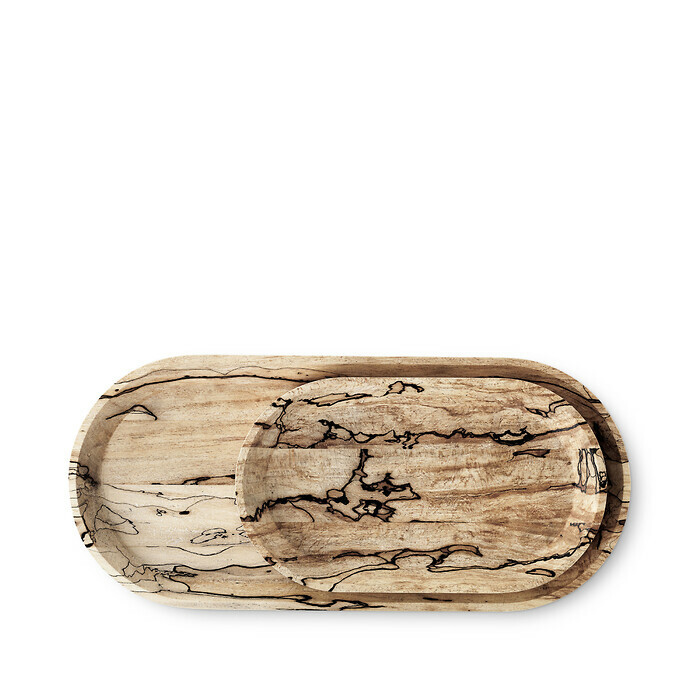 - Small pieces of residual wood can be transformed into the most beautiful objects with a little care. It requires the will and the desire to make a difference to upcycle materials, but if we want to deliver a green planet to future generations, it is simply necessary, that we all think a little more about the environment and take full advantage of resources, says Henrik Marstrand. This year, Mater will launch a range of brand new accessories, all manufactured in sustainable materials and produced in a way that supports environment, people and local crafts traditions. 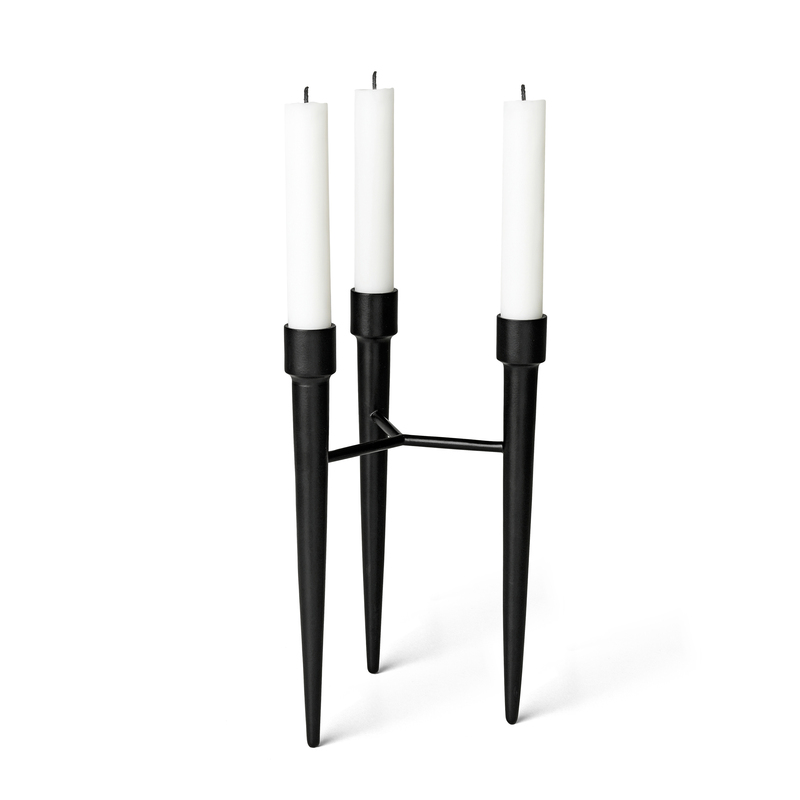 The first two news items are Spike Candle Holder and Decay Tray. The upcoming Danish designer Amanda Walther has designed a candlestick, whose pointed legs have clear references to Maters iconic Bowl Table. The holder is molded from recycled metal with a traditional Indian sand casting technique, which has been passed through generations in the Moradabad region of northern India. Spike rejoices the old craft techniques and helps local iron casters to keep a traditional crafts tradition alive. Made of Danish truffle beech - beech attacked by fungus and therefore usually unusable in industry - Decay Tray is a good example of 'one man's garbage is another man's treasure'. Because of the fungus, the beechwood surface has a strong, almost marble-like structure, which means that not two trays are the same. Decay Tray is treated with a food-resistant lacquer that makes it useful for serving fruit, cakes or the like.